Te Ara is a digital resource, but many of the invitations to the launches of its themes were printed and posted in the traditional manner. This required time-consuming handwork, as invitations were inserted into envelopes in a team effort. 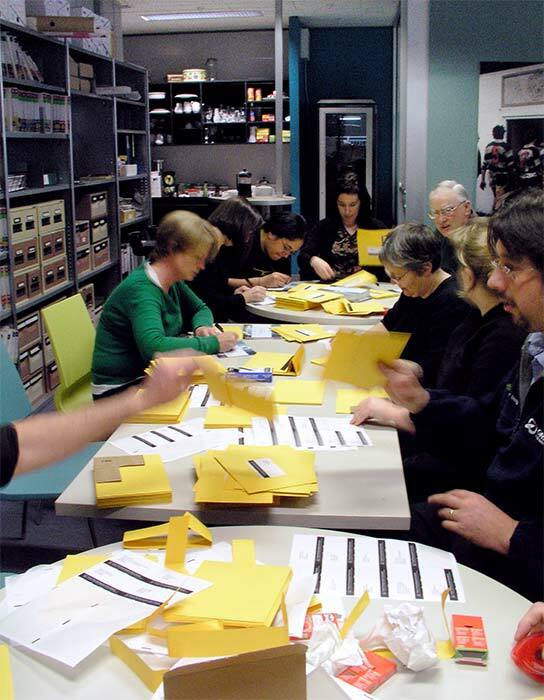 This photo shows that team at work in 2006, in the tearoom of Te Ara's former premises at Radio New Zealand House, Wellington.